Upgrade your expectations at Triple Creek! We are changing the way people think about homes in Piedmont! Greenville&apos;s newest 100% Financing Approved Community. Nestled in a serene landscape, but so close to all of the amenities that you love! Triple Creek is just minutes from I-85, Woodruff Rd, Augusta Rd, Downtown Greenville and Major Employers like GHS, Michelin and BMW! 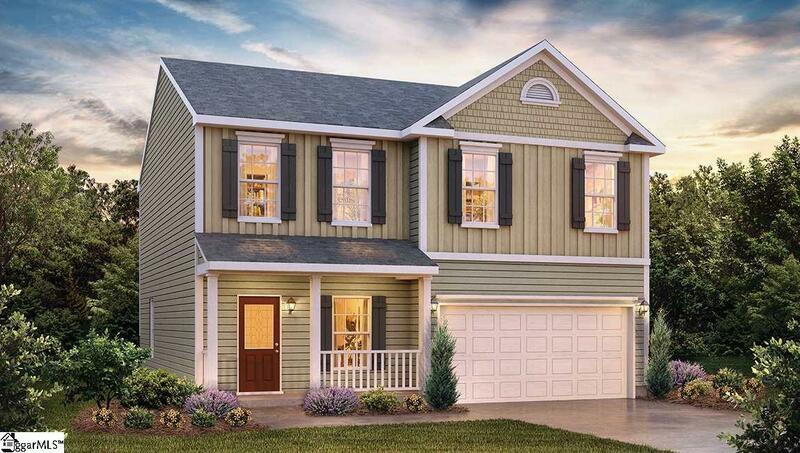 The Hamilton is a great home that features gorgeous curb appeal, and open floor plan with upgraded flooring on the main floor, beautiful kitchen with designer espresso cabinetry, stainless appliances and a great center island! The second floor is just as amazing an features two large secondary bedrooms, both with great walk-in closets! A convenient laundry room is centrally located near all of the bedrooms. The owner&apos;s suite is AMAZING and features soaring vaulted ceilings, a deluxe bath that includes; dual sink vanity, soaking tub and separate walk-in shower. The owner&apos;s closet is HUGE!